What is Q ANZAC 100? Four fellowships valued at $15,000 each are on offer each year to fund research projects relating to Queensland's role in the First World War both at home and abroad. 2017-2018 Q ANZAC 100 Fellows. 2016 QANZAC 100 Fellow: Greer Townshend from State Library of Queensland on Vimeo. 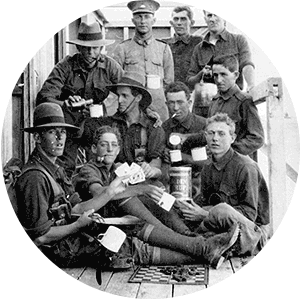 Treasure: A Soldier’s Story searches for archetypal imagery in letters, diaries, photographs and possessions of Queensland soldiers during WW1. The research informs large-scale drawings investigating the personal and collective unconscious during wartime. 2016 QANZAC 100 Fellow: Lisa Jackson from State Library of Queensland on Vimeo. The Unfinished War: The Post-war Lives of Returned Soldiers who spent time in the Inebriate Institution in Dunwich. This project will undertake in-depth, detailed research into the lives of the returned First World War soldiers whose alcoholism led them to be admitted to the Inebriate Institution in Dunwich on North Stradbroke Island. Further, this project will examine the support networks and institutions provided for these men, and the attitudes of the government and society towards the ongoing care for returned soldiers who became alcoholics. Cairns of words and numbers: Queensland’s Memorial Rolls of the Great War. This project aims to re-honour, 100 years on, the men and women named on all of Queensland’s Great War memorial rolls of honour by building, in the words of J.S. Manifold, “…a cairn of words over a silent man…”. 2016 QANZAC 100 Fellow: Dr Judith Powell from State Library of Queensland on Vimeo. Crime, passion and opportunity - Policing Brisbane during World War Two. General MacArthur called Brisbane the most corrupt place in the South Pacific. During WW2 over a million soldiers passed through what had until then been a small town. For the young it was an exciting time. John Wayne, Eleanor Roosevelt, Eugene Ormandy, Artie Shaw - the world, it seemed, came to Brisbane and the small town buzzed. But crime flourished. Learn about the progress of the 2017 Q ANZAC 100: Memories for a New Generation Fellows as they explore archetypal imagery in letters, diaries, photographs and possessions of Queensland soldiers during the First World War; the Post-war Lives of Returned Soldiers who spent time in the Inebriate Institution in Dunwich; and policing Brisbane during World War 2. Join Fellows Greer Townshend, Lisa Jackson and Dr Judith Powell as they present and discuss their research into the many stories of Queensland during the War. 2016 QANZAC 100 Fellow: Victoria Carless from State Library of Queensland on Vimeo. Paper Moon: research towards the development of content for a new novel, based on the stories of Australian deserters. Victoria will research the profile of and historical circumstances surrounding the deserter or illegal absentee in WWl. A largely untold story, Victoria will use her research to develop a fictional work about a deserter and his life story. 2016 QANZAC 100 Fellow: Ursula Cleary from State Library of Queensland on Vimeo. Annie Wheeler, also known as Mother Wheeler provided enormous support for Queensland soldiers and their families during WWl by corresponding with hundreds of them on a regular basis, sometimes providing soldiers with money if needed and helping families to locate their loved ones. 2016 QANZAC 100 Fellow: Mark Cryle from State Library of Queensland on Vimeo. Memorialising WWl has largely been men’s business. This project examines the way in which women as guardians of family memories, memorialised the war through letters, memorabilia and photographs.These are the ‘archives of loss’. 2016 QANZAC 100 Fellow: Maria Quirk from State Library of Queensland on Vimeo. Maria’s project will map how both feminism and loyalty to empire motivated the Paten sisters of Ashgrove to break new ground in women’s involvement with army medical and ancillary services. Learn about the progress of the 2016 Q ANZAC 100: Memories for a New Generation Fellows as they explore the hidden histories of Queensland’s heroic women of the First World War; families, memories and the legacy of loss; and the plight of First World War deserters. Join Fellows Victoria Carless, Ursula Cleary, Dr Mark Cryle and Dr Maria Quirk as they present and discuss their research into the many stories of Queensland during the War. 2015 QANZAC 100 Fellow: Elaine Acworth from State Library of Queensland on Vimeo. My Father’s Wars follows the story of her own father who fought in both world wars. Ms Acworth’s story personalises the costs and rewards of massive continental conflict half a world away in the life of a Queensland man and his family, in an intimate and known context. 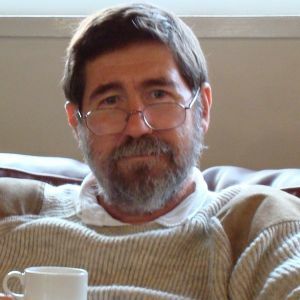 2015 QANZAC 100 Fellow: Neville Buch from State Library of Queensland on Vimeo. Queensland community thinkers and their social-political formations during World War I: passion and reason for war and peace 1914–19 will examine the diversity of opinion and shifting attitudes of Queenslanders during this tumultuous time. 2015 QANZAC 100 Fellow: John Thompson from State Library of Queensland on Vimeo. Censors, Conscripts & Queensland – J.J. Stable and the Battle for Hansard will focus the John Oxley Library’s Stable collection which includes Hansard No 37, a record of Premier TJ Ryan’s controversial speech ordered to be destroyed by Prime Minister Billy Hughes. 2015 QANZAC 100 Fellow: Robert Hogg from State Library of Queensland on Vimeo. Queensland’s soldiers: place, identity and stories of belonging in the First World War examines the largely unexplored themes of identify, place and belonging. Using the diaries, photographs and personal letters of soldiers who went to Gallipoli and the Western front, Mr Hogg will explore soldiers’ attachment to their home state and identified themselves as ‘Queenslanders’. Scratch the surface of any topic and you will expose a wealth of information and ideas — sometimes more than you ever imagined. Over the last seven months Queensland’s experience of the First World War has been not only scratched but deeply explored by the 2015 Q ANZAC 100: Memories for a New Generation Fellows. Join Fellows Elaine Acworth, Dr Neville Buch, Dr Robert Hogg and John Thompson and facilitator Ian Townsend, as they present and discuss their research into the First World War and Queensland’s many stories.